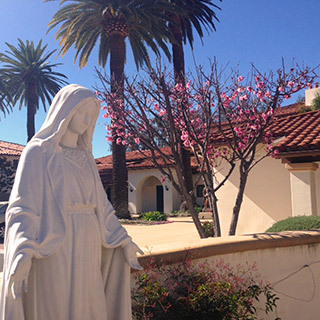 As a NEW YEAR is here, won’t you please consider St. Vincent’s in your prayers and year end gifts. Help us change a life! Every dollar raised from our Annual Appeal goes directly toward helping people in our community through our programs. On our 21-acre multi-generational campus we serve 600 children, families and seniors each day. Our Early Childhood Education Center is a fully-licensed NAEYC accredited preschool providing quality childcare for 98 children from ages six weeks to 5 years old. Our Family Strengthening Program is a 27-month transitional housing program with wrap around services including parenting classes, case management, and counseling for single mothers with young children. Our Affordable Housing Programs have provided a home to low-income families and seniors for 10 years and we are the largest affordable housing on one campus in Santa Barbara. With your help we can continue to provide for those less fortunate, just as we have for the past 159 years. On behalf of the children, families and seniors that we serve, we thank you for your continued support. God bless you. Wishing you and your family a year of God’s love, grace and blessings. Served 37,000 nutritious meals & snacks this year. Villa Caridad and St. Vincent’s Gardens provide a home for over 400 low income Residents. In the past 5 years, 439 mother and children moved from homelessness to stability.